When it gets chilly outside, it isn’t just your nose that Jack Frost will be nipping at. You have to protect your ears from the cold, as well! And the best way to do that is to find a good pair of winter ear muffs. But which ear muffs are the best? 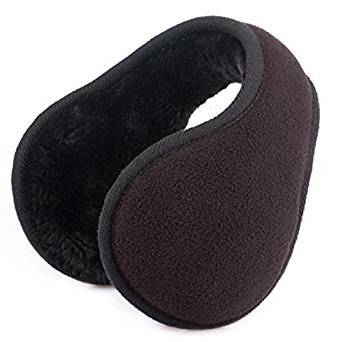 If it’s real warmth and comfort for a low price that you’re looking for, then you should consider giving Metog Unisex Foldable Ear Warmers a try! 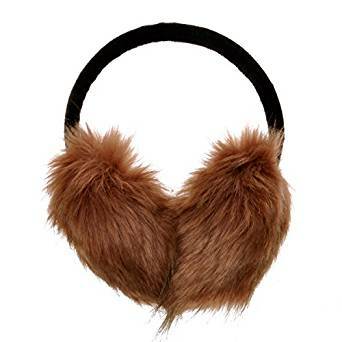 Made with an acrylic outer and a faux rabbit fur inner, these ear muffs will protect you from even the bitterest of winds. They’re even great for those rainy days, being both wind and water resistant. However, it must be said that these ear muffs are perhaps better for people with a smaller head. The more that they need to reach, the worse that they perform. So, while this might be a cheap but warm set of ear muffs, you should definitely skip it if you need something with more wiggle room. Otherwise, you’ll find yourself unprotected, even with your ear muffs. Has a durable outer layer of acrylic, and a soft inner layer of faux rabbit fur. Starts at 32 cm, and adjusts to up to 42 cm. 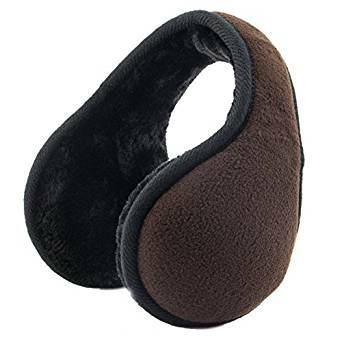 These ear muffs are very durable, and suited for long term use. Both wind- and water-resistant, for those rainy winter days. For those with a larger head, these ear muffs might not fit properly. The materials are all synthetic, so those who prefer more natural materials should look elsewhere. For such a low-priced option, the Metog Unisex Foldable Ear Warmers is a great choice. True, if you have a larger head, you shouldn’t buy them, but, if you’re on the smaller side, they’re a great option. Warm, soft, as well as being wind- and water-resistant, these are excellent ear muffs. Another warm option is Flammi Unisex Classic Fleece/Kints Ear Warmers. These ear warmers are true to their name, keeping your ears nice and snug, even on the really cold days! 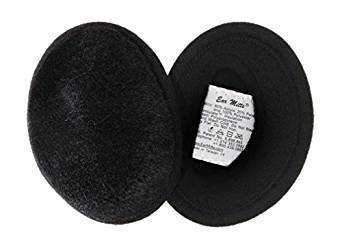 They’re also very soft, making wearing them less of a burden and more of a joy; you won’t have to worry about a scratchy material bothering your ears. For one, these ear warmers only seem to fit those with a smaller head. Those with large heads will find it almost impossible to wear these, and even those with average sized heads will likely have some issues. They’re also really bulky in the back, making it more difficult to wear. And, lastly, the wire that helps them hold their shape can be a bit uncomfortable, especially for those that need to wear the ear muffs very tightly. These ear muffs are very warm, keeping out the cold quite well. The material that will cover the ears is very soft, for added comfort. The looser fit on the back of the neck means that they won’t muss your hair! If you have a large or even average sized head, then you’ll likely have issues with the fit. The neck band is bulky, making it more cumbersome to wear. The wire that helps these ear muffs hold shape is rather uncomfortable for many. If you have a small head, and don’t mind a few inconveniences, then Flammi Unisex Classic Fleece/Kints Ear Warmers might be worth a try. They’re certainly decent ear muffs, and will keep your ears warm. However, you might not find them comfortable enough to actually find out if they work. Tired of the same old ear muffs? They’re all built the same, aren’t they? Now, if you don’t want the burdensome, banded variety (which is so bad for your hair), then you can give Sprigs Earbags Bandless Ear Warmers a try! These ear warmers are different because they don’t have a band that keeps them in place. Instead, they’re individual bags that go around your ear itself, to keep out the cold. 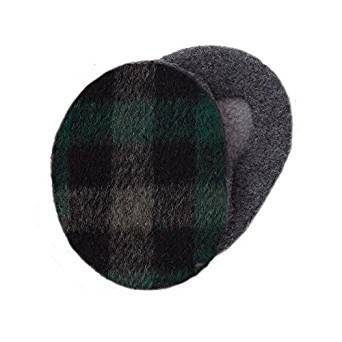 Made with an inner layer of fleece, as well as two warm layers of Thinsulate, these bandless ear warmers are perfect for those who want the extra freedom. Bonus points: They also come in varying styles and sizes, so that you can find one that will fit you no matter what your style or ear size is! The only downside is that the price varies so much, it’s hard to pin down. Comes in three sizes: Small (under 2 inches), Medium (2 inches to 2.75 inches), and Large (over 2.75 inches). Has an inner lining made of fleece. Patented snap on technology, to hold your ear warmers in place. Completely bandless, for comfort and style. Lightweight performance, to keep you warm without being cumbersome. Comes in a variety of different styles and designs. With a price anywhere from $14 to over $400 listed, this can either be a great deal on ear warmers, or a very high priced splurge. Shop carefully! If you like the no-fuss options, then Sprigs Earbags Bandless Ear Warmers might be a good choice for you. They’ll keep you warm without being an annoyance, mussing up your hair or being too tight around your neck. With the variety in the styles and sizes, you’re guaranteed to find one that works for you. This option is intended just for the ladies. 180s Women’s Lush Soft Fleece Behind the Head Ear Warmers are designed with a woman’s looks and use in mind, making them one of the few ear muffs to take gender into account. Made with polyester, these are very warm, and able to keep your ears nice and toasty n even the absolute chilliest of weather. They’re also beautiful, coming in varying styles that will work well with any look. However, there are certainly some issues to be raised with these ear muffs. For one, the fit is very small, meaning that those with larger heads (or, perhaps, even just average sized heads) will have trouble getting a comfortable fit. They’re also a bit flimsy, with the inner band breaking easily in some customer’s cases. Still, for those who are okay with a tighter fit, these are nice ear muffs. Made with a woman’s look and head in mind. Very warm, keeping your ears snug and protected. Comes in a variety of beautiful designs for any look imaginable. Foldable, for easy transportation and storage when not in use. Designed with a small head in mind, so the fit may be too tight to be comfortable (or even usable) for those that have an average or large head. The band can break easily in some cases, making the product useless in the process. Not normally comfortable for use with men. 180s Women’s Lush Soft Fleece Behind the Head Ear Warmers are a decent choice if you’re not looking for a particularly sturdy or do-it-all pair of ear muffs. They’re great for women, normally not so for men, and have a small band, making good fits a bit of a problem. If that doesn’t bother you, though, then they’re certainly worth a shot. Sometimes, you want something that doesn’t only perform well, but looks good while it does so. In that case, Knolee Unisex Knit EarMuffs are a great choice, because they do both very well! These behind the head ear muffs are not only warm, but stylish. Made out of polyester, the exterior of the ear warmers looks like it has been knitted. The interior, meanwhile, has a gorgeous faux fur look that doubles as a way to insulate your ears from the cold. And it does that well, being both wind- and water-resistant. It is sized “one size fits all”, and that actually seems to be the case. These fit both adults and children well. The ear muffs are adjustable, further adding to their pluses. There’s even a variety of colors to choose from! The only downside is that the design is a bit feminine; guys might not appreciate it as much. Very nice look, with a knit-look exterior and a faux fur interior. Keeps your ears covered and warm. Both wind resistant and water resistant. One size fits all, from children to adults and anything in between! Comes in a variety of different color options. Comfortable to wear, won’t be too tight around your head. The style is on the feminine side, making it a less popular option for boys and men. It works just as well for those demographics, however. As far as ear muffs go, there’s little that can be done to improve Knolee Unisex Knit EarMuffs. They’re stylish, well-functioning, and can fit almost anyone. The only downside that can be found is that the style is a tad bit feminine, making it a bit of a rough sell to most guys. 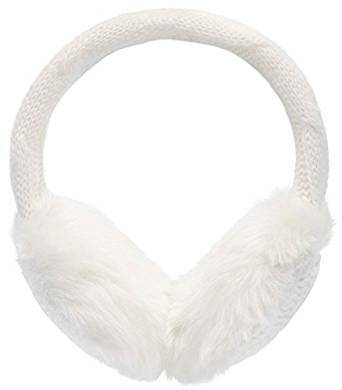 Another cute option for the girls out there are Simplicity Women’s Winter Knitted Faux Fur Plush Earmuffs. These are the perfect blend of fashionable and functional, making it a great choice for anyone out there. With a knitted outer layer and a plush faux fur lined trim, these are guaranteed to keep even the chilliest of breezes off of your sensitive ears. The frames are made of plastic, making them durable enough to use for quite a while. It’s also a one size fits all option, so nearly anyone can wear them, though the style means women and girls are more likely to enjoy them. The only downside is that the fit can be a little tight, especially on those with larger heads. But, they can be worn with helmets, hats, and glasses, making them a great everyday choice. A very stylish option, you have a lot of designs to choose from with these ear muffs. You can wear these with hats, beanies, helmets, and glasses. Can be hand-washed, so you don’t have to fret about getting them dirty. Keeps the cold out very well. Fits most people, including children and adults. Very durable, with a plastic inner band. This is a very cheap option. The fit can be a bit tight on larger heads, so it’s best to choose something else if you think this will be an issue. Simplicity Women’s Winter Knitted Faux Fur Plush Earmuffs are great for girls and women of any age. They’re fashionable, with a wide range of styles to choose from, as well as functional, keeping the cold out and being easy to take care of. These are an excellent choice in ear muffs. Ugg doesn’t just make your favorite boots. Now, they can make your favorite ear muffs, as well! UGG Women’s Double-u Logo Shearling Earmuffs are a warm, toasty option from the famous fashion brand, and boast the same style as their more famous products. These ear muffs are made primarily of two things, polyester and sheepskin. The fill is made up of polyester, for insulation that doesn’t become soaked through if it rains. The sheepskin lining is perfect for insulating your ears, keeping them warm and protected from the outside chill. Of course, fashion is a big part of these ear muffs, as well. They come in a gorgeous black color, with the golden double U logo that Ugg is famous for. The only real downsides are the price, which is high, and the fact that they aren’t really adjustable. Made of polyester and sheepskin, for the ultimate in warmth and protection. Made by Ugg, a famous fashion brand; also carries the goldtone double U logo. A beautiful, fashionable choice in ear muffs, particularly for women and girls. Works for children and adults alike. These ear muffs aren’t adjustable, so you need to be absolutely certain that they will fit you before ordering. Size carefully! The price is more than a little high, which is likely because of the quality of the product and the brand name that it carries. UGG Women’s Double-u Logo Shearling Earmuffs are great for the fashion conscious person in your life, even if that person is you! Made by a famous company and carrying their logo, these are both fashion choices and workhorses when it comes to keeping you warm. A great, if expensive, purchase! For those girls and women you really want to take the fashion world by storm, there’s ZLYC Womens Adjustable Faux Fur Ear Muffs. 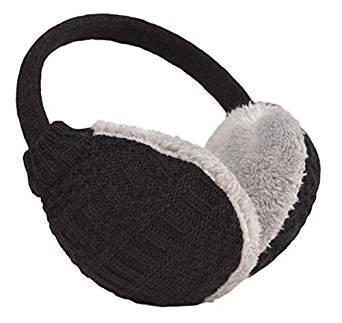 The first thing that you’ll notice about these ear muffs are definitely their main design feature: The large amounts of faux fur that cover the actual ear coverings of these ear muffs. 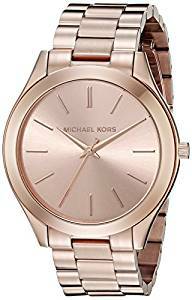 These are extremely fashionable, and come in a wide variety of styles, including one with fake jewels, to keep you up to date fashion-wise, or even just to match your current style. The price is even low, with the lowest being $9.99 and the most expensive being $14.99. However, that seems to be where the good stops. These ear muffs, which claim to be adjustable, don’t really adjust enough to matter. And the ear muffs themselves apparently don’t protect your ears very well, proving bulky and uncomfortable to wear. Very fashionable choices, with a lot of different styles to choose from. Made with synthetic fabrics, fillers, and faux fur; no animals were harmed making these ear muffs! Fits both children and adults, making it a good choice for any age. Great for girls and women! A cheap option, starting at $9.99 and going to $14.99 per set. The ear muffs don’t work well, as they’re too bulky to actually protect your ears from the cold. These ear muffs might not fit well, as they don’t really adjust very much. 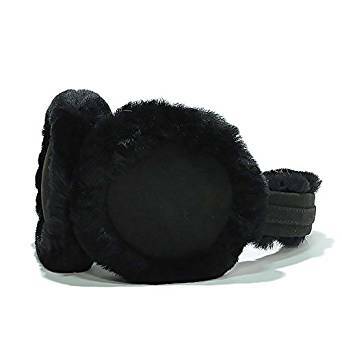 ZLYC Womens Adjustable Faux Fur Ear Muffs are very fashionable choices in ear muffs. They’re also a cheap option. Unfortunately, they aren’t much else. These ear muffs will likely be uncomfortable, and likely won’t even keep your ears warm to begin with. It’s probably better to choose a more functional pair. Do you like listening to music without worrying about your ears getting cold? Or do you just hate the “hat hair” that most ear muffs leave behind when you take them off? Either way, if you’re tired of the more traditional ear muffs, Ear Mitts Bandless Ear Muffs are likely a good choice for you! 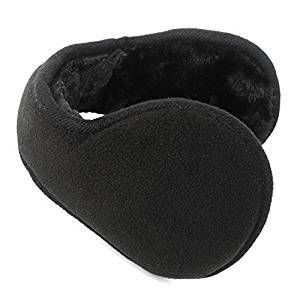 These ear muffs are, as the name suggests, completely bandless, meaning that you don’t have to worry about fitting a band around your head, or dealing with the annoyances that come with them. Instead, these ear muffs snap around your ears, protecting them from the cold while also protecting your hairstyle! And, unlike a lot of ear muffs, bandless or otherwise, you can still use your ear buds while wearing them. No more giving up your music just to stay warm! The only real downside is that some find that they’re a bit too big. Watch your sizes carefully! No band, so you don’t have to worry about your hair. Can be worn with helmets, hats, and any other type of headgear. Can wear while using ear buds without sacrificing warmth. Made of soft thermal fleece with three layers of Thinsulation. Inner has a Teflon coating, to keep the fabric safe from sweat, makeup, and dirt. Comes in two different sizes, for the perfect fit. Some find that the ear muffs fall off because they are the wrong size. Make sure you’re ordering the right size! For music lovers, or just those who want convenience, you can’t go wrong with Ear Mitts Bandless Ear Muffs. They’re a great, albeit not cheap, choice in ear muffs. They’ll keep you warm, stylish, and pumping the best tunes, all at once. As long as you’re fastidious about the sizing, you’re going to love these! This last option is perhaps one of the best. It’s an all-around winner when it comes to ear muffs, bringing in the best of all the others, and for a really good price to a moderate price. Primitive Wing Winter Foldable Polar Fleece EarMuffs are great for a lot of reasons. The first is that they do their intended purpose: They keep your ears warm in even the coldest of weather. The outer layer is made out of superfine high quality fleece, while the inner layer is a synthetic plush designed to keep you warm and comfortable at all times. It’s extremely durable, with the inner plastic band being both high impact and freeze resistant. Want to travel with them? No problem! They can be folded, though they are a tad bit bulky. Best of all, the price is low, starting at just $7.99 and ending at $18.99. Designed for warmth, with an outer layer of superfine fleece and an inner layer of soft plush. The inner plastic band is sturdy, being both shock resistant and freeze resistant. Hand washable, for easy cleaning if you get it dirty. Plush doesn’t irritate your skin, nor does it rub off over time. Completely affordable, with a starting price of $7.99 and a maximum price of $18.99. One size fits all, so anyone should be able to wear these. When folded, they can be a bit bulky to carry around. Primitive Wing Winter Foldable Polar Fleece EarMuffs are an all-around great choice. They’re capable of both keeping you warm and being sturdy at the same time. In fact, they’re even fashionable enough to wear out when it gets chilly! The low price can’t be beat, and neither can the easy care. A wonderful option to have! Winter ear muffs are a necessity, especially as it gets colder and colder, and the weather turns wetter and windier. Hopefully, out of these choices, you’ll be able to find the right pair that will be a mixture of fashionable and, most importantly, functional.